We are getting closer to May 4th and the kickoff to the Koko 5 Million Point Challenge to benefit Relay For Life®. If you have ever “Relayed” you know that the whole inspiring experience is about honoring and celebrating those who have fought, and continue to fight cancer. So, this blog post is one great big celebration of a Florida KokoNut named Terry Best who, in the face of a tough cancer diagnosis, is empowered to fight back with Koko FitClub Coral Springs as his battleground. Research has shown that for people fighting cancer, exercise can mean a longer life free from cancer. Besides enhancing overall health, mood and outlook, evidence suggests that exercise actually improves your immune system’s “cancer surveillance,” protecting you against future cancer recurrence. Terry’s story is bound to get you moving, and inspire you to sign up for The Koko 5 Milllion Point Challenge on May 4th benefiting Relay For Life®. (Which just happens to be the day after Terry’s birthday…) Read on! May 3rd, the day before the Koko 5 Million Point Challenge, will be my 65thbirthday. My wife and I have signed up for 12 and 10 cardio sessions, respectively, for this Relay For Life® event. Before I retired, I always encouraged my employees to participate in the various Relay For Life® activities that were being held in the area. I never thought it would mean as much to me as it does now. I never thought I’d be the one fighting cancer. Sixteen weeks ago I went to my primary doctor to see why I was so tired all of the time. I joked with my wife that I probably needed my oil changed maybe had to have some of my fluids topped off. After all, I am someone who takes good care of himself. (I’m 64 years old; 5’9”; 165 lbs; athletic; never smoked or experimented with drugs; having a drink means a glass of wine; and did I mention handsome? OK, OK, maybe I’m getting a little carried away.) How could there be anything really wrong with me? My blood tests were always fine, including my cholesterol that, for years, has been “in range” due to the pill that I take each night. No cancer (EVER) on either side of my family, so that wasn’t even a consideration. However, I was tired most of the time – unusually tired. Well, that was sixteen weeks ago. One look at my doctor’s face after he performed the always popular DRE exam to check my prostate said it all. I was in a state of shock. There was no cancer in my family and absolutely no (none, nada, zilch) symptoms. During the next few weeks, it seems that all I did was schedule tests, spend endless hours in waiting rooms, take tests, wait for test results, schedule appointments to discuss test results with the appropriate doctors and then, start all over again. Life certainly had changed. So, after ultrasounds,MRIs, PET Scans, bone scans and, my favorite, a prostate gland biopsy, the verdict was in: I have a very aggressive case of prostate cancer. It has spread from my prostate and is also now in my bones. That is labeled as “Stage 4” cancer. Lucky me – my cancer had no patience for Stage 2 or Stage 3 – it decided that Stage 4 is a much better place to be. After all, with Stage 4 prostate cancer, it’s too late to operate. So, those smart, insidious cancer cells knew that they would be safe from the surgeon’s knife. The protocol for my situation is hormone therapy, which deprives the cancer cells of testosterone. Without that fuel source, they die. Unfortunately, at some time in the future, they will figure another way to thrive and we’ll have to go to Plan B. Fortunately, with prostate cancer, (words that I never thought I’d use together) there are many other arrows in the quiver to use against it. The key for me, and all other prostate cancer patients, is to stay ahead of the curve and be in the right place at the right time when these new medications are available. So, what does all of this have to do with Koko FitClub? As it turns out, more than you’d expect. When my oncologist told me that the depletion of testosterone will deprive the cancer cells of fuel, he also told me that it will cause me to lose muscle tone, gain weight and make me lethargic. None of these side effects appealed to me, so I decided to do something about it. While I’ve always been in decent shape, I’ve never liked the gym scene. My wife and I used to belong to a health club, but I would head directly to the treadmills and spend all my time sweating and staring at a TV that was tuned to some channel that I would have never, ever chosen myself. (The treadmill must have worked at least a little, as I can proudly say that I was able to complete the Disney Marathon a few years ago.) I had no idea how to use any of the strength equipment and, even if I did, I had no idea what the correct weights, repetitions, sequences, etc. made sense for me. But, as unappealing as going back into this situation was, when you find out that you have cancer, you tend to put things in perspective. I was going to work out. As many of us do, I went to the internet to find a solution. The amount of gyms and health clubs in my area is overwhelming, but they are all basically the same. Pay your dues and figure out the rest. They had pools and saunas and juice bars and basketball courts and racquet ball courts and spinning and twirling and preening and flirting and . . . well, you get the idea. What they didn’t have was something for me. They didn’t have something for a guy who didn’t need to lose weight, didn’t want to have bulging muscles and didn’t have a clue how to use the machines. I needed a place that would provide both the roadmap to achieve my goals as well as the equipment/atmosphere that would make me feel comfortable doing so. Then, I found Koko FitClub. I met with the owner, Rob, and explained my situation to him. Having cancer was still new to me and he was one of very few people who I had told about it. I guess I wasn’t expecting his heartfelt compassion and, more importantly, his sincere desire to help me. Rob showed me how Koko had various customized programs for a wide range of people with different goals, including (amazingly) mine. Being able to do my entire strength workouton one machine with a computer screen actually showing me how to do the exercises and adjust to my range of motion and strength variations was a revelation. Could it be that there actually was a place that met every one of my needs? And, to top it off, the owner, his staff and the other members of the club had the same mind set as me? Sign me up! So, what’s happened in the last sixteen weeks since that “you have a cancer” conversation in the doctor’s office? Well, my testosterone level is now 0.00. My PSA level went from more than 22 (2.5 to 4.0 is the target range) to 0.2. And, my doctors are now using the word “remission.” As I’ve been told my cancer is “treatable but not curable,” “remission” is a wonderful word to hear. What about the loss of muscle tone and “turning into a dumpling?” When my doctor asked me if I was experiencing any of the side effects that he warned me about – loss of muscle, lethargy, weight gain, etc. – rather than tell him about it, I handed him results I printed from my Koko webpage. While I had to explain “Q Score” to him, the numbers and graphs of the other results spoke for themselves. My first Koko workout was on February 4th. My lean muscle was measured at 137 lbs. (I weighed approximately 167 lbs.) and my eBMI was approximately 17. My “Q Score” was 58, which was very good for my age group. My lean muscle has INCREASED (remember, I had hoped to just maintain what I had) to 144 lbs. My eBMI remains in the ideal target range at 18. My strength has INCREASED by 48 percent. My Q Score is now 88, which is better than the average of any male age group, including those cool young guys in their 20’s and 30’s. I’ve walked almost 100 miles and have lifted 500,000 lbs. I’ve accomplished all of this without any testosterone and, remarkably, actually enjoyed myself. My doctor’s reaction was priceless. Sixteen weeks ago, in this same room, he told me that I had aggressive prostate cancer and, obviously, it was a very serious conversation. Now, he used the word “remission” and he was smiling from ear to ear (me too!) Having the ability to print out my progress and hand it to my doctor(s) is something that I never thought about when I joined Koko FitClub. It has turned out to be a terrific way to show them how I’m fighting back. Fighting back. My treatment – receiving monthly shots in my hip and stomach and taking some pills each day – is relatively passive on my part. It’s up to my body chemistry to react to them. However, by working out, I feel that I am actually attacking the cancer cells. Each step, each completed rep, each scoreboard result on the Koko Smartrainer screen is evidence that I’m fighting back. Koko uses the phrase “Stay Strong.” That was the perfect reason for me to join. I would have settled for “Stay Strong.” However, to my surprise, “Get Stronger” is much more applicable to what I’ve been able to achieve. 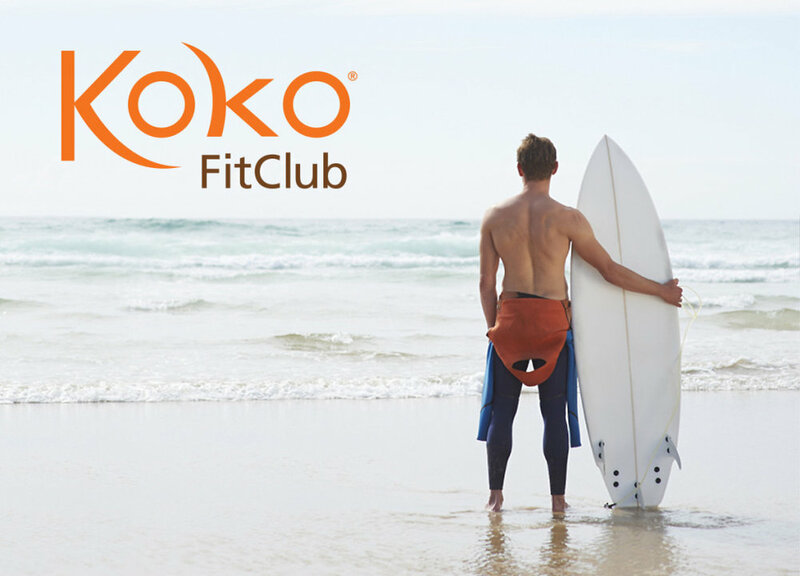 Joining Koko FitClub is the best health and wellness decision I have ever made, period.